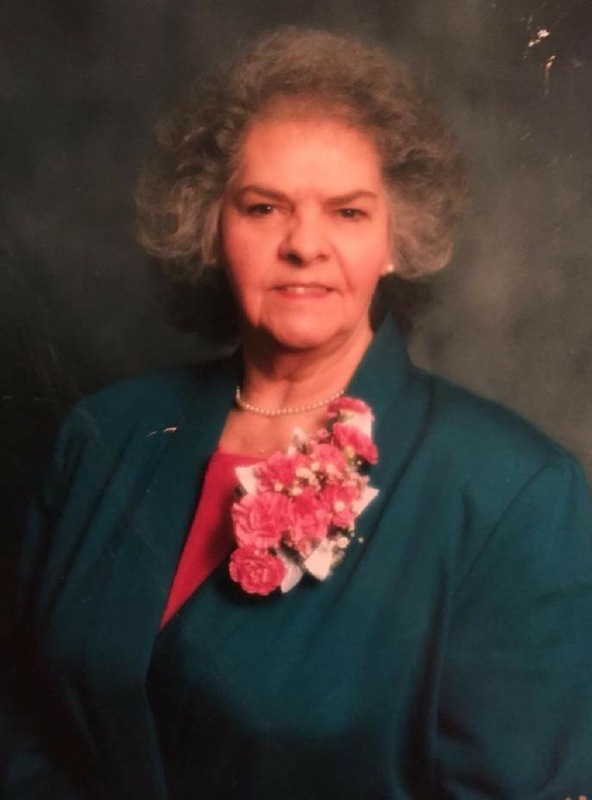 Clarksdale, MO……Oma Frances Burris, age 90, was born May 13, 1928 in Willowbrook, Missouri, the daughter of Howard Holden and Elva Elizabeth (Hamilton) Sharp. Oma worked at Sunset Nursing Home for many years. She was a member of Order of Eastern Star and Clarksdale Baptist Church. Oma was was a Leader in both Cub Scouts and 4-H Club. She enjoyed spending time with her family, especially her grandchildren. Oma was a loving mother and grandmother. Oma is preceded in death by her parents; daughter, Elaine Brizendine; brother, Howard Sharp, Jr. ; step-father, Robert Morton; and four grandchildren. Survivors include six children, Ron (Cindy) Burris, Debbie Mauzey, Pete Burris, Rob (Chris) Burris, Paul (Tina) Burris, and Lisa Burris; brother, David Sharp;son-in-law, Terry (Jimmye) Brizendine; nineteen grandchildren; thirty-one great-grandchildren; and six great-great-grandchildren. So sorry for your loss but now she is not suffering!! She was such a nice lady. Our sympathy to the family at their loss. All the Eulinger family had great admiration and respect for Oma. What a matriarch. I wish I could reach out to each family member with a hug and fond remembrance at this time. Her hard work, welcoming heart, and true grit left a legacy to follow. I’m so sorry. I am so sorry for your loss, my prayers go to you and yours. She was such a wonderful person! Lisa-If you need anything, please call me. So sorry for your loss. Great woman! You all are iny thoughts and prayers. Such a wonderful family. God bless the Burris family. Oma was my den mother, and beautiful, sweet lady. My deepest condolences in our time of loss.